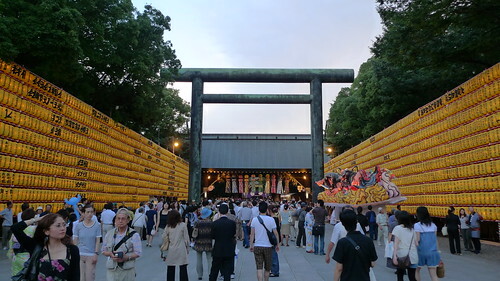 I went to the Mitama Matsuri (Soul Festival) at the Yasukuni Shrine yesterday. It is a festival that honours the dead. My initial plan was to go to the Toro-nagashi (floating of lighted lanterns on the water) in the palace moat at Chidorigafuchi Park nearby. 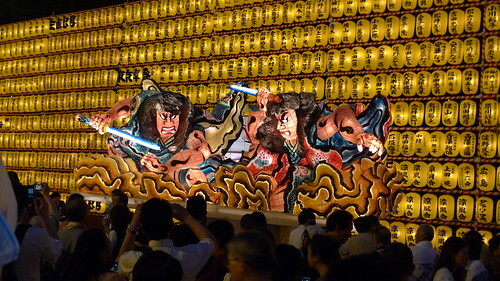 Alas, I wasn't able to catch the latter, although I have to say that the Mitama Matsuri was definitely impressive. This is the haunted house attraction at the festival. Hear the sounds of people screaming? And then I made my way past the stalls and watched a drum performance. 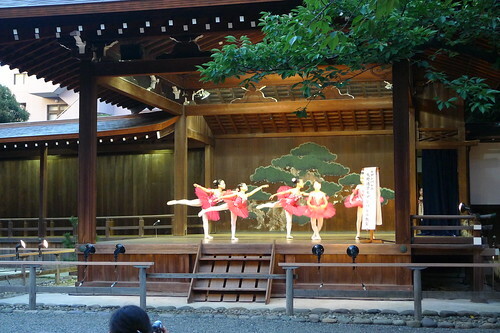 Near the main shrine building, children performances were held. Lots of cries of "Kawaaaaaaii!" among the women audiences. I wanted to do the same but I am fearful that it would sound too pedo-ish. 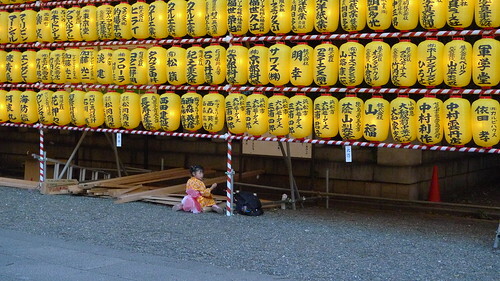 The many lanterns in the festival bear letters written by many well-known people. I was walking about the area around the main building when I suddenly heard the rumbling sounds of taiko. 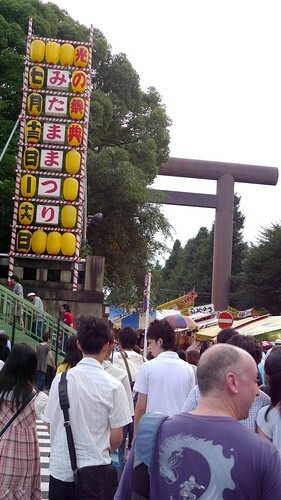 Navigating my way through the sea of people, and as you can see, many were in pretty yukata, I went to check it out. I left the shrine after that, wanting to head towards the Toro-nagashi as I've mentioned at the beginning of this post. It was a pity I didn't catch that, the sight of lighted lanterns floating about a moat had always been something I wanted to see for myself. 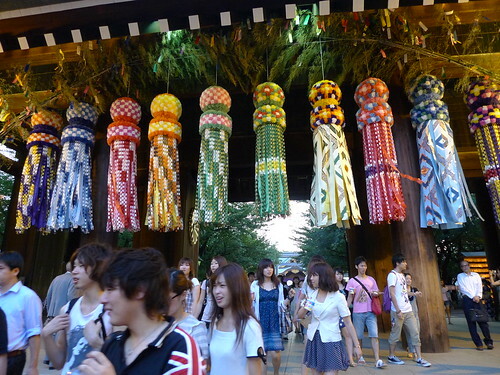 Yet the Mitama Matsuri in Yasukuni, with its splendour, was worth the trip. Before I left, I caught the Bon Odori at the festival on video. Pretty magnificent.